I may have raised this before. I don't know if it's environmental, Green or ethical, but similar hat. Why do these new Estates create names for their streets to give the impression that it's really green and cosy, or whatever. Avocet Way, Ashford. Those posting a Christmas Card who've never been to the place must think they live in a wonderful setting - chances of seeing an Avocet in the middle of Ashford is just about below zero !! 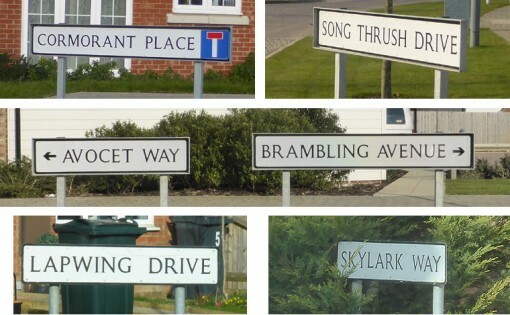 Then you have the Woodland Street names. It must be the guilt of the planners & then the builders to realise they have just cleared out all the habitat for the wildlife & it's their way of saying sorry. Cairngorms National park have just give the go ahead in principal for 1,500 new homes within the park next to Aviemore!! An absolute disgrace, wildlife stands no chance.